Hear more about the latest update on The Boy Who Lived, published on Rowling’s Pottermore website yesterday. HP superfans will be delighted to hear that author JK Rowling, despite insisting that she won’t return to write another addition to her popular series, has released a short update on the adult lives of her beloved characters. The 1,500 word story appears in the form of a gossip column on Rowling’s Pottermore website, written from the perspective of her tabloid journalist character Rita Skeeter. In it Skeeter reports from the grounds of the current Quidditch World Cup in Patagonia. As usual, nobody is safe from the sharp-quilled busybody, as Skeeter kicks up dirt on Dumbledore’s Army members Harry and Ginny, Ron and Hermione, Neville Longbottom, Luna Lovegood, and more. Among the most scandalous “discoveries” Skeeter shares with her Daily Prophet readers are the Longbottoms’ penchant for a tad too much firewhisky and Teddy Lupin and Victoire Weasley’s steamy snog sessions (“The good news is both of them seem to have invented a method of breathing through their ears”). 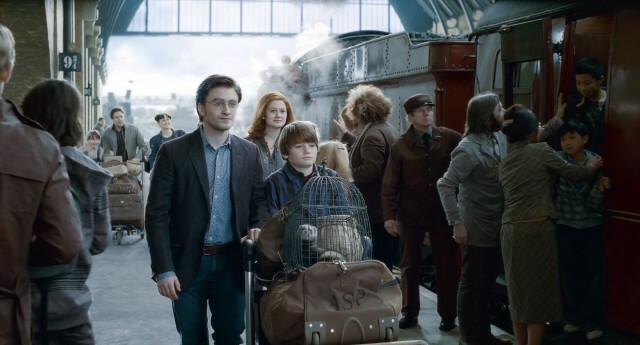 If you, too, are nostalgic for a time when we could all look forward to another Harry Potter adventure, read Rowling’s latest tidbit, “Dumbledore’s Army Reunites at Quidditch World Cup Final” here, and let us know what you think!